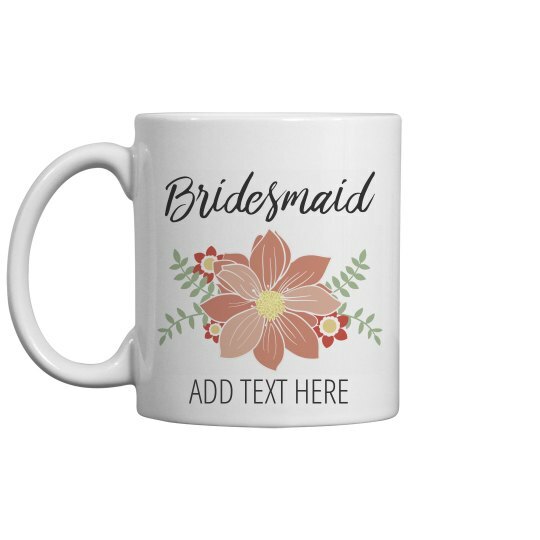 Customize a cute coffee mug for everyone in the bridal party. This one's for the bridesmaid! It's a great way to ask them to be in your wedding. Customize it by adding a line of personalized text, to send a sweet message!